In 2017, Live Well Crawford County conducted a survey to examine the perceptions of Crawford County community members about the issues of healthy eating, active living, and tobacco cessation. The community perception survey was a part of the Pathways to a Healthy Kansas grant that was received by Live Well Crawford County. Pathways is a Blue Cross and Blue Shield of Kansas initiative. 266 community members took the time to complete the survey. Here are a few key findings from the survey results. Finding #1: About 50% of the survey participants expressed concern that there were not enough sidewalks, bike paths, and walking paths in Crawford County. The respondents indicated that having access to these facilities could support participation in safe physical activity. The built environment is key in promoting and developing a healthier community. Action to be Taken: With available Pathways’ funding, Live Well Crawford County is working with the Active Transportation Advisory Boards and other community partners to implement a Complete Streets Policy which would increase the number of sidewalks, bike paths, and walking paths to create more opportunities for active living. Finding #2: Only 26% of respondents strongly agreed or agreed that food retail stores encourage healthy habits, even though the majority agreed that there are enough healthy items available. Action to be Taken: Live Well Crawford County through the Pathways initiative, is working with grocery stores and other food retailers to not only make sure those healthy items are available, but to assess their store and identify opportunities to encourage healthy shopping through increased signage and store set-up. Finding #3: 83% of survey respondents were either neutral or in favor of a tobacco free grounds at worksites. In Crawford County, smoking at the workplace has become a topic for discussion in regards to employees and their rights and protection of their overall health at work, in addition to employers and the overall health of their workers. Action to be Taken: Crawford County is currently working with 10 worksites implementing a worksite wellness plan that would promote a tobacco policy on the worksite grounds. In addition to the work Live Well Crawford County is doing with grocery stores, restaurants and worksites, we are also working with schools, hospitals and healthcare providers to bring exciting healthy changes to our community! For more information about the survey or the Pathways initiative, contact Brad Strout at bstroud@crawfordcohd.org Follow our efforts on Twitter @livewellcrawco or Facebook at Live Well Crawford County. On April 25 at 10 a.m., PedNet will present to County Commissioners the Crawford County Master Bicycle and Pedestrian Master Plan at Crawford County Courthouse. This plan has been in the works for a year and includes input from surveys completed by residents, work sessions, and public forums. Also that day, from 1 p.m. to 5 p.m., a Traffic Professionals Training will be held at Pittsburg Fire Station No. 1, by invitation only. Attendees will include City of Pittsburg, County Road and Bridge, and County Zoning Department. Classroom training will discuss different scenarios for safety for active transportation. It will cover situations, traffic rules, etc. Then, from 8 a.m. to noon on April 26, the Traffic Professionals Training will move to Field Training at Weede Athletic Center at PSU. This will incorporate the safety and scenarios from the classroom training with actual training through walking, wheelchair, and biking exercises and training. The group will travel on bicycles as a group to eat lunch. For questions or additional information, contact Brad Stroud, Director Live Well Crawford County at 620-704-0019 or email bstroud@crawfordcohd.org. Live Well Crawford County is spearheading an initiative to increase awareness of the importance of promoting a healthy, vibrant community that attracts businesses, new residents, and tourism dollars by making it easier for people to get around town. Toward that end, on April 24 from 6 to 7:30 p.m., Live Well will host a free Livable Streets Open Forum for community members and leaders. The goal is to provide insight on implementing a Livable Streets policy in Pittsburg. The meeting will be held at Pittsburg Fire Station No. 1, 911 W. Fourth St. Healthy snacks will be provided. Consulting, which was commissioned to create a Master Pedestrian and Bike Plan for Crawford County, will present on the impact Livable Streets policies are having in small communities. Live Well Director Brad Stroud said creating safe routes for active living is important for all ages and all socio economic backgrounds in our community. “Safe routes are important for our children in route to school, as well as for citizens who utilize active transportation routes to work,” he said. Complete Streets also has shown a positive impact on local economies in communities in which the concept was implemented. Increasing foot and bicycle traffic have shown a boost to local business sales, and a community with great access to walking and biking has been a key factor in attracting new business. Transportation Advisory Board member John Robb. 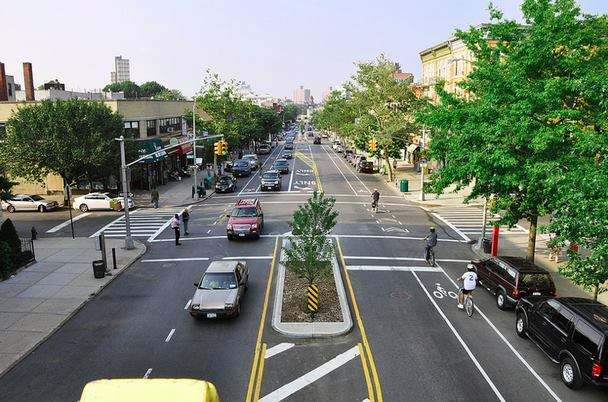 questions and learn more about creating livable streets in Pittsburg. County at 620-704- 0019 or email bstroud@crawfordcohd.org. Ninety percent of adult smokers begin smoking at or before the age of 18, and more than 150,000 new underage daily smokers start smoking every year in the U.S., one third of which will die prematurely from smoking. Hope Harmon and the Breathe Well Task Force, of Live Well Crawford County, are seeking area youth interested in making a difference to combat those statistics locally by forming a chapter of Resist. Resist works to counteract tobacco influences on Kansas’ youth by striving to change the way people think about tobacco by making it less acceptable and less accessible. Resist members advocate to strengthen tobacco policies that affect how tobacco is sold, where it can be marketed, and where it can be used. Resist members participate in activities such as community education and engagement, state wide events, data collection and media advocacy. Resist State Youth Council is the guiding body for the Resist movement. A council comprised of 10 to 15 youth, ages 13-18 (grades 8-12), it includes representatives from each region of Kansas. Youth interested in being a tobacco control leader in Crawford County communities, youth who want to prevent their peers from using tobacco, and youth who want to make a positive impact on others are the kinds of youth Harmon seeks. Those interested in joining local chapters of Resist may contact Harmon, who works at the Crawford County Health Department, at 620-231-3200. A meeting place and time will be determined by the students themselves. On Feb. 27, Jordan Roberts, a representative of RESIST, will speak to the Pittsburg City Youth Council from 4:30 to 5:30 p.m. at the Beard-Shanks Law Enforcement Center. On Monday, Nov. 21, Live Well Crawford County will hold two meetings — one in Pittsburg and one in Girard — to share with area residents, educators, healthcare providers, restaurant owners, worksite representatives, and hospital personnel how to share part of a $215,000 grant awarded by Blue Cross and Blue Shield of Kansas. Called “Pathways to a Healthy Kansas,” it is the largest community grant program ever awarded by the company. Crawford County is one of eight recipients. In announcing the grant, Blue Cross and Blue Shield of Kansas officials said the grant award was designed to help communities establish and sustain healthy policies, environments, and lifestyles. The funding for each community also includes a coordination grant award of $100,000, for a total of $315,000 for Crawford County. Live Well’s new director, Brad Stroud, said there are seven pathways eligible for allotments from the grant award, to be used for implementation and to recognize achievement: community policy, resident/community well-being, the food retail sector, health care, restaurants, schools and worksites. Stroud said each person or group who wishes to apply will sign a “Pathways Healthy Pledge” that is specific to the type of business entity or organization they are with or represent. In addition to the grant dollars, Blue Cross and Blue Shield of Kansas is providing the communities with technical assistance for planning, evaluation, communications and measurement through partnerships with Kansas Health Institute and the Community Engagement Institute at Wichita State University. Also, elementary schools in each county will have free access to GoNoodle Plus for the duration of the funding period. GoNoodle is a website with interactive games and videos that get children moving throughout the day. The activities are designed to help children channel their physical and emotional energy for good -- improving behavior, focus and achievement. "While the intent of Pathways to Healthy Kansas is three-fold, it is centered on the idea of creating environments where the healthy choice is the easy choice to make," said Virginia Barnes, MPH, director of Blue Health Initiatives and developer of the grant program. "We want to work closely with each community to inspire long-lasting, community-wide well-being, focus on strategies that build community engagement and transform the way residents stay healthy as they work, play and interact socially, and, last but not least, incorporate more opportunities to be healthy in daily routines so that a healthy culture is cultivated now and for generations to come." A second application process will begin in 2017 in order to identify an additional eight communities to participate in a three-year funding program from 2017 to 2020. Brad Stroud is no stranger to living well. 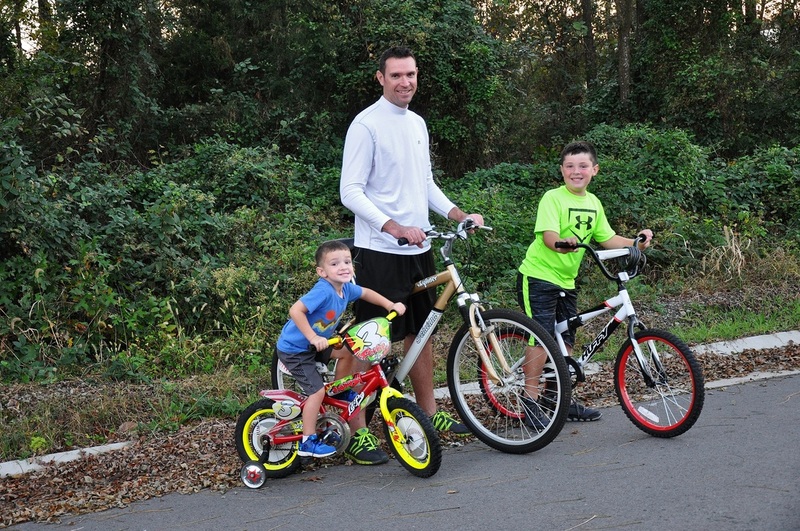 As a former athlete and coach, he loves to be active with his two sons and to cook using fresh produce. But he wanted that lifestyle into his profession, as well. In September, he found it with Live Well Crawford County, when he was named as the organization’s first director. Stroud grew up in Frontenac, graduating from Frontenac High School in 1999. 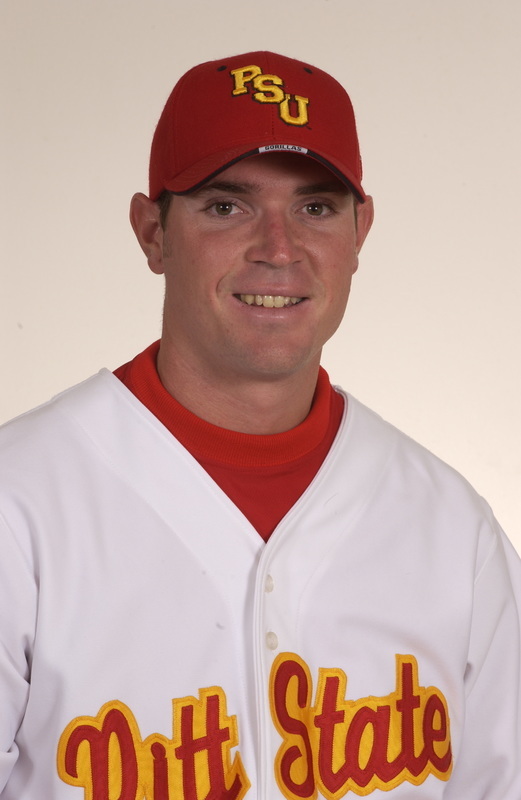 He attended Pittsburg State University, where he played baseball from 2000 to 2004. 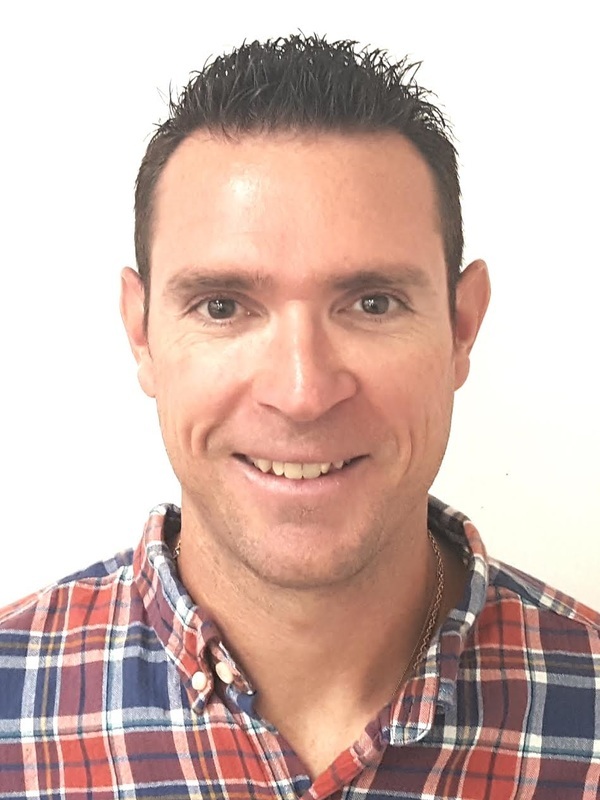 After earning a bachelor’s degree in business management and a master’s degree in physical education, he served as assistant baseball coach from 2004 to 2006 — a position he would hold at Ft. Scott Community college from 2006 to 2008. In 2008, he joined Watco Companies, LLC, a Pittsburg-based transportation company and one of the largest privately-owned shortline railroad in the U.S. There, he worked as a car hire analyst, manager of revenue accounting, and a marketing analyst. But he sought a position he felt passionate about — one that made him excited to get out of bed every day. Stroud ranks as a top priority his family and friends and the time he spends with them, and wants to remain healthy in order to enjoy it for as long as possible. A diabetic since he was 11 years old, that desire has come with its share of challenges. But Stroud puts in the time and effort: he runs three times a week, serves as a youth coach, and loves to shop at the City Market in Kansas City, Missouri, whenever he is able. Now, he wants to lead Live Well Crawford County’s mission to improve the health of all Crawford County citizens. Live Well Co-Chair Kim Vogel said one of his main functions will be overseeing the organization’s new Blue Cross Blue Shield of Kansas “Pathways to a Health Kansas” grant. He was chosen, she said, Stroud out of a very qualified candidate pool. “The personal stories that Brad had to share about his health and his journey to leading a healthier lifestyle, along with his background in physical education, made him stand out above the other candidates for this position,” she said. Make plans to attend the Girard Chamber Coffee on Thursday, Nov. 3, at the Girard Extension Office, 120 E. Buffalo, for the opportunity to meet Stroud in person. ﻿We're so excited to announce that with grant funding, we'll be hiring a director for the first time! The Live Well Crawford County Director will coordinate grant action plans, grant reporting and support policy, environment and systems changes which positively impact the health and economic status of Crawford County residents. The Live Well Crawford County Director will provide leadership for writing grants which will support those policies, environment and systems changes. Working knowledge of community coalition development. 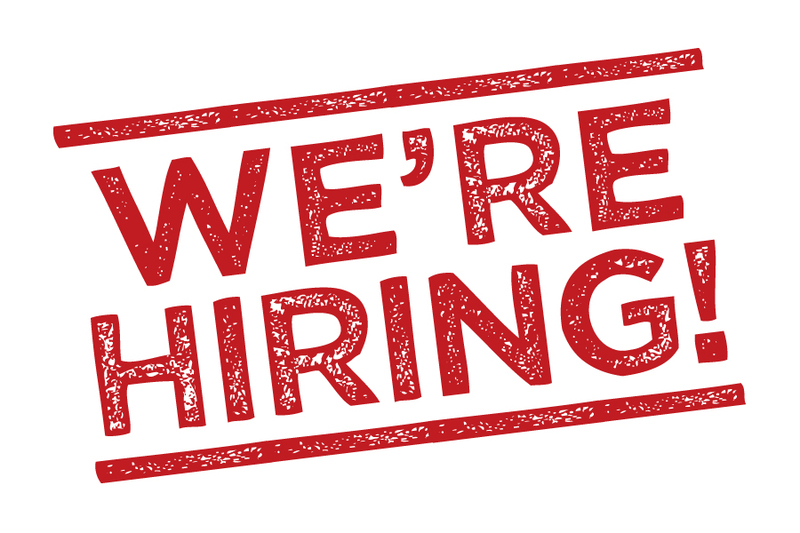 Download our job description for more details and information about how to apply. Crawford County is one of eight Kansas communities recently selected as a grantee in the largest community grant program ever funded by Blue Cross and Blue Shield of Kansas. During the next three years, members of Live Well Crawford County will lead the community in these efforts. Called the Pathways Program, the initiative provides community coalitions like Live Well Crawford County with the tools and resources needed to remove barriers and engage the community in ways that enable healthy eating and tobacco-free, active living to become a way of life. The funding for Crawford County includes a coordination grant of $100,000, with the opportunity to apply for non-competitive implementation and achievements grants amounting to $215,000, for a total of $315,000 during the next three years. "We chose 'Pathways' as the name for this initiative because there are truly many paths which must converge in order for a community to build and sustain a healthy environment for residents," said Andrew C. Corbin, president/CEO. "Those various pathways form the program's focus areas of community policy, resident/community well-being, the food retail sector, health care, restaurants, schools and worksites." In addition to the grant dollars, Blue Cross is providing Live Well Crawford County with technical assistance for planning, evaluation, communications and measurement through partnerships with Kansas Health Institute and the Community Engagement Institute at Wichita State University. Also, elementary schools in Crawford County will have free access to GoNoodle Plus for the duration of the funding period. GoNoodle is a website with interactive games and videos that get children moving throughout the day. The activities are designed to help children channel their physical and emotional energy for good -- improving behavior, focus and achievement. "We want to work closely with Live Well Crawford County to inspire long-lasting, community-wide well-being, focus on strategies that build community engagement and transform the way residents stay healthy as they work, play and interact socially," said Virginia Barnes, MPH, director of Blue Health Initiatives and developer of the grant program. "We want to help Crawford County become a place where the healthy choice is the easy choice to make, cultivating a healthy culture now and for future generations to come." 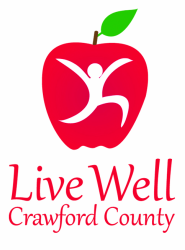 Live Well Crawford County strives to promote healthy lifestyle choices in order to improve the quality of life for the citizens of Crawford County. Live Well Crawford County enjoys supporting community projects and activities that promote physical activity and increase access to healthier foods. Be located in a semi-urban, densely-settled rural, rural or frontier county. Be ranked in the bottom half of county health rankings for the state. The eight communities selected for this three-year funding opportunity are: Atchison County, Bourbon County, Crawford County, Franklin County, Hoisington and northern Barton County, Kearny County, Reno County and Wichita County. An additional eight communities will be selected in 2017 to begin another three-year funding cycle.